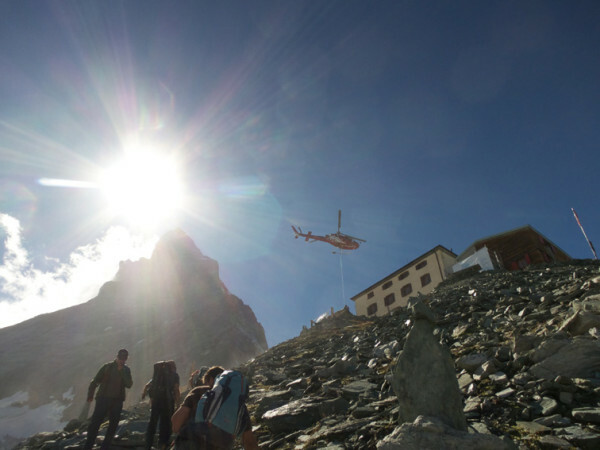 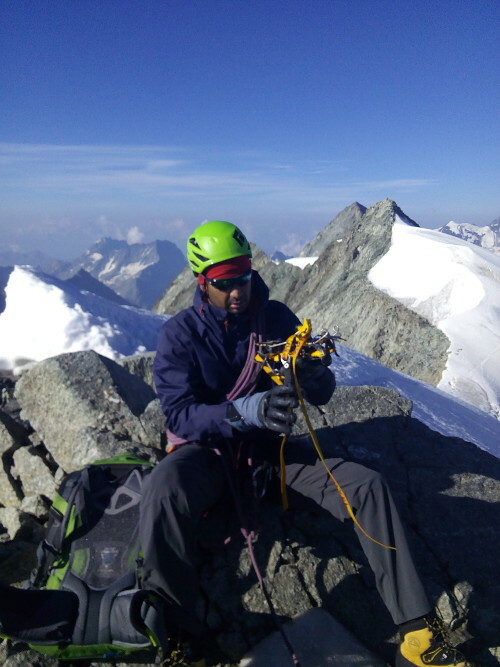 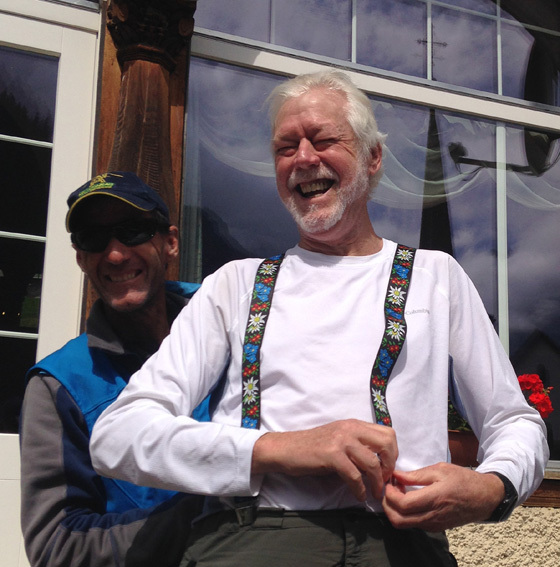 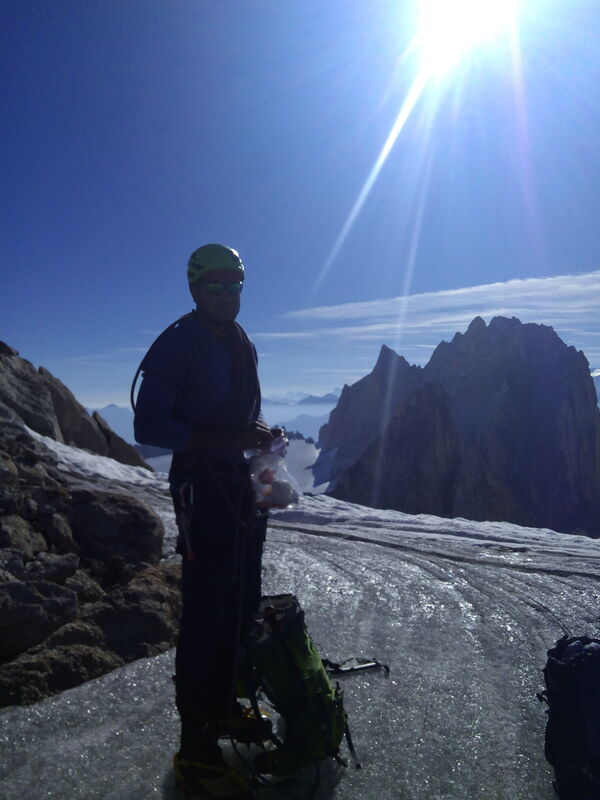 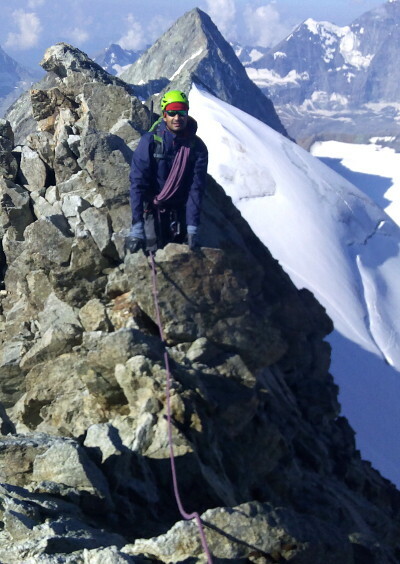 Over the weekend, Gary and Anand climbed the classic 4010m Swiss peak, the Lagginhorn. 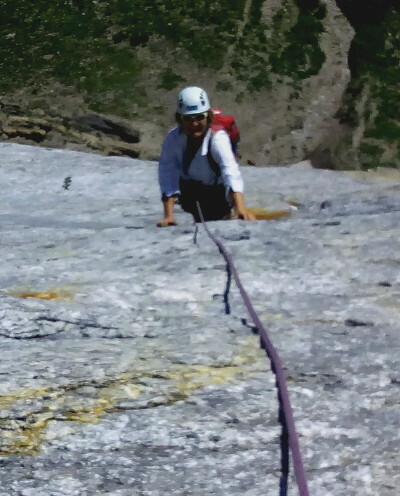 Mainly PD alpine rock, with crampons being worn on the last hour of the ascent. 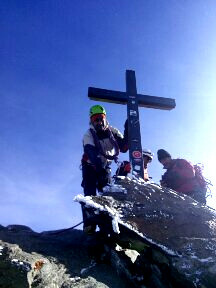 A dusting of fresh snow and a very breezy and fresh North wind greeted them on the summit slopes. 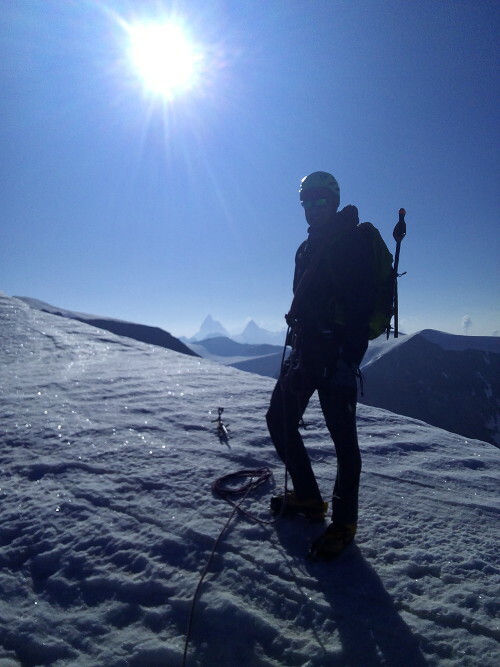 A great vista was quickly admired as it was below zero degrees on the summit and the wind chill made for a short summit stop. 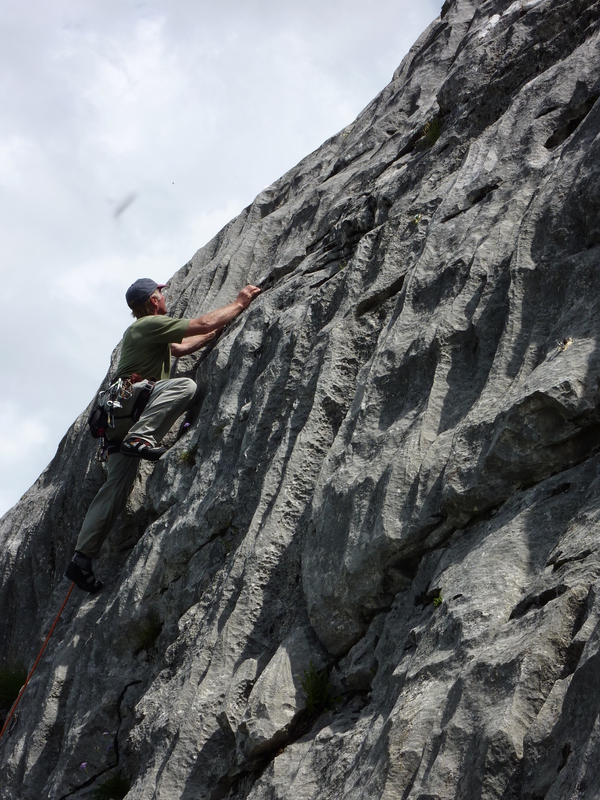 Recently Gary and Iris have been out cranking some classic big multipitch rock routes.Fabulous sunny weather, and great, inspirational rock. Back in Leysin , Switzerland for the I think 19th season. 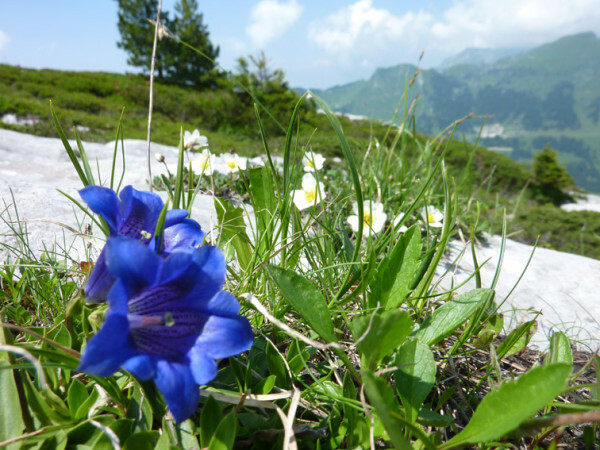 Still very beautiful. 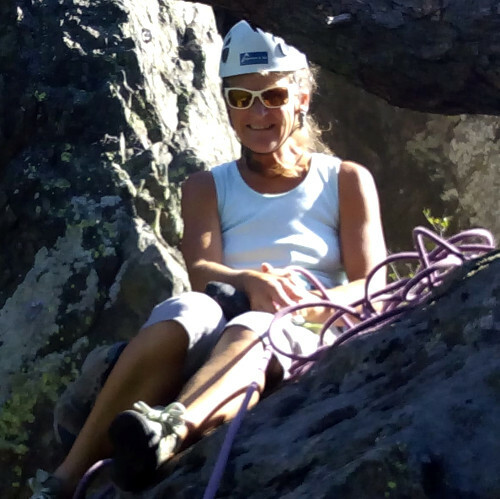 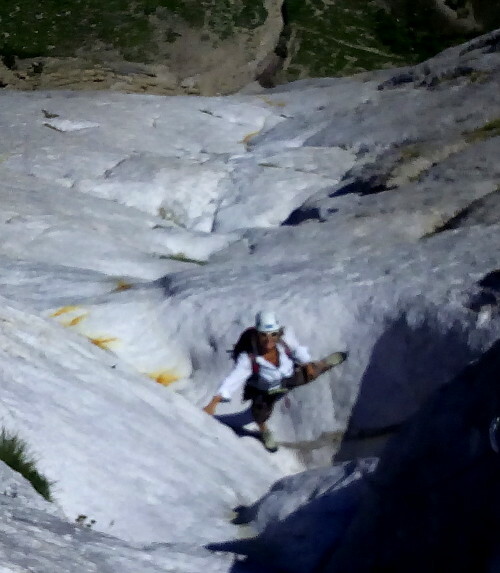 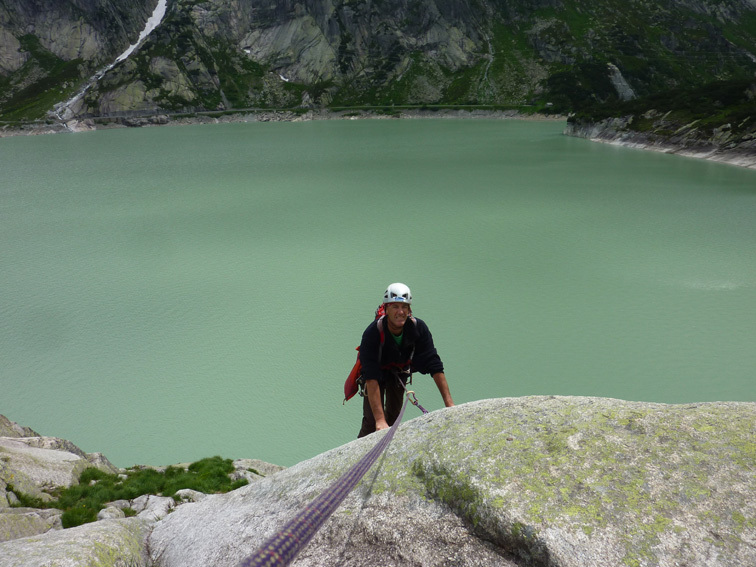 Been climbing multipitch rock with Iris in the Grimsel pass granite area and now over in the Swiss French region of Switzerland where we base our selves for the two months of July and August. 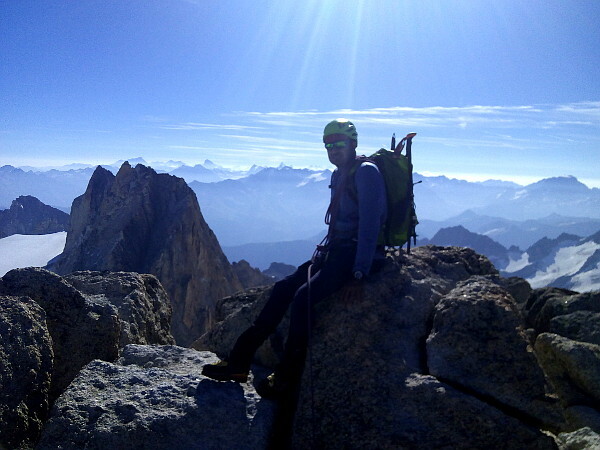 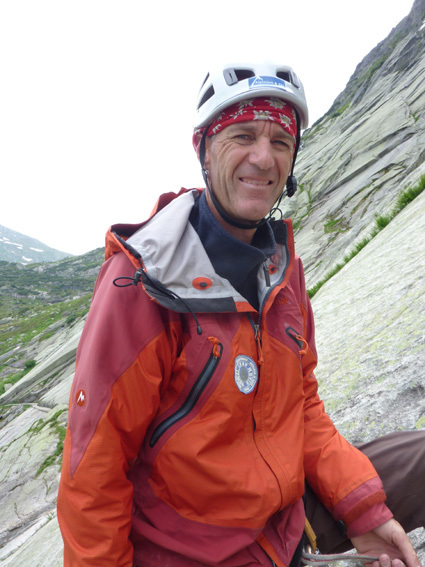 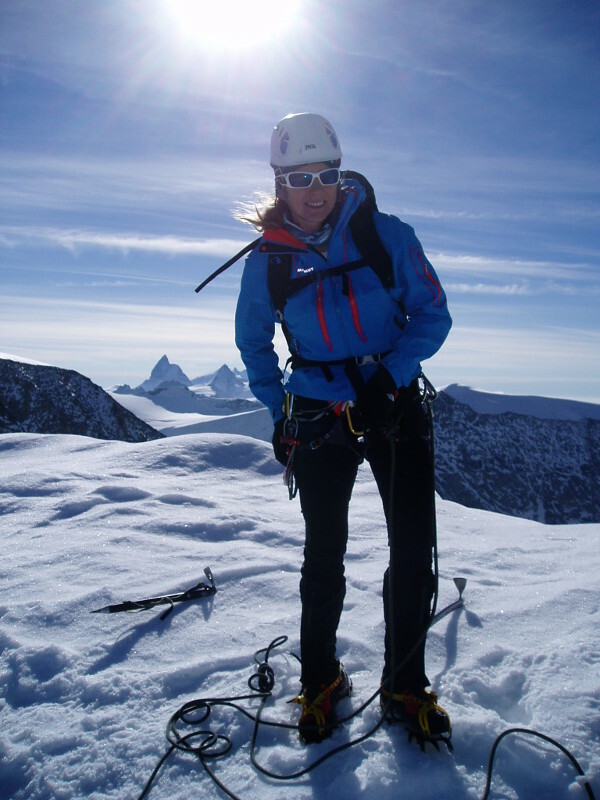 July and August , there is still a bit of space available to book IFMGA mountain guide Gary Dickson for some mountain guiding or a climbing instruction course in the Swiss alps. 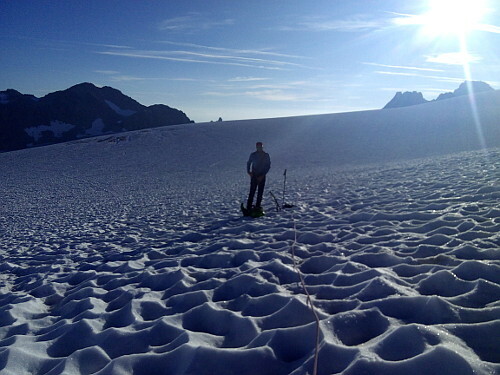 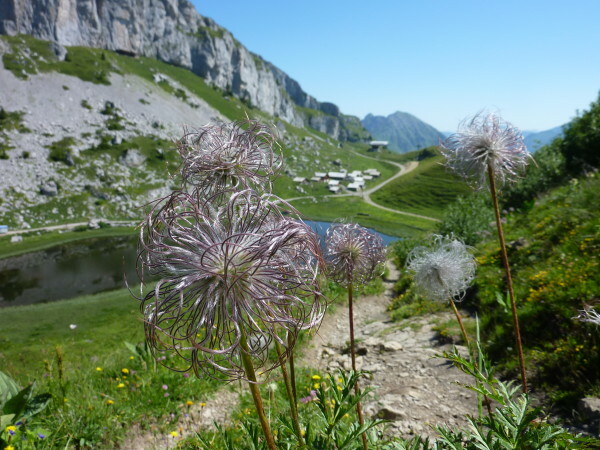 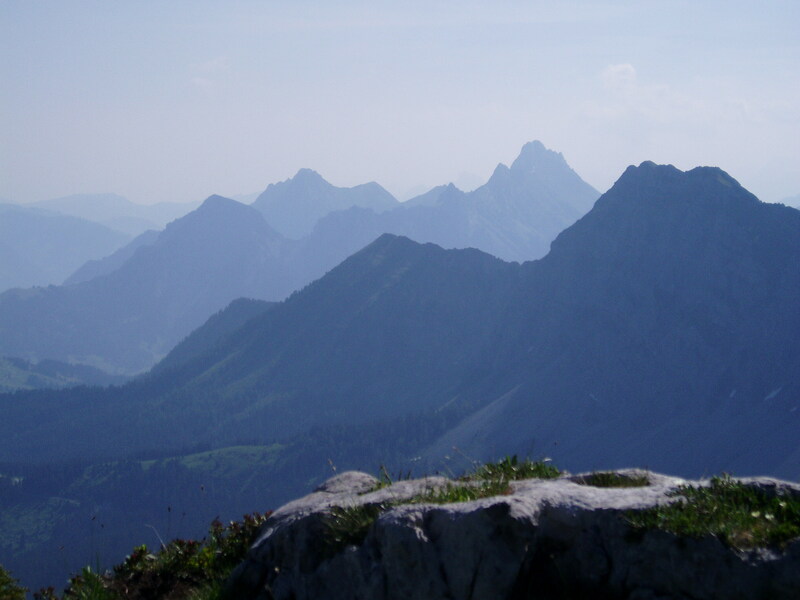 Warm summer alpine rock, Swiss glaciers, snowy ridges, Swiss cheese, cow bells. 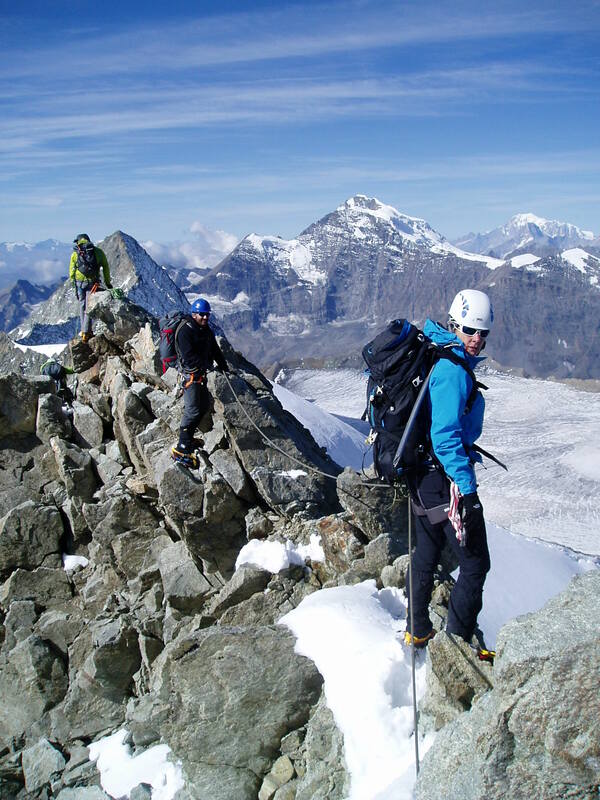 Come and enjoy Switzerland with us.